Living a life of stress, worry and anxiety is NOT the life we are meant to be living. It is our natural state to be in peace and harmony but most of us have forgotten how to live this way. Reiki healing helps us to realign with this natural state of peace and let go of the stress and anxiety that does not serve us. You have been searching for ways to live a life of freedom, joy and prosperity. You feel you have a great purpose, something wonderful to give back to others, but each time to try to follow your calling you get stuck. Life gets in the way and your desire to do better gets thrown by the wayside. This leaves you feeling blocked and stuck in your current circumstances. A reiki treatment can help to lift the blocks that are holding you back and open the way ahead. You seem to recover from a cold only to get a chest infection which leads to something else. You want to be healthy and you have even tried changing your lifestyle to become healthier but you seem to always feel lethargic, sick and running on empty. Reiki can help to raise your energy levels and restore health and well being. Whether you are a busy parent, a student coming up to exams or an over scheduled business person, we all suffer from overwhelm at times. Often all we need is a little time out to get some perspective and to restore balance. 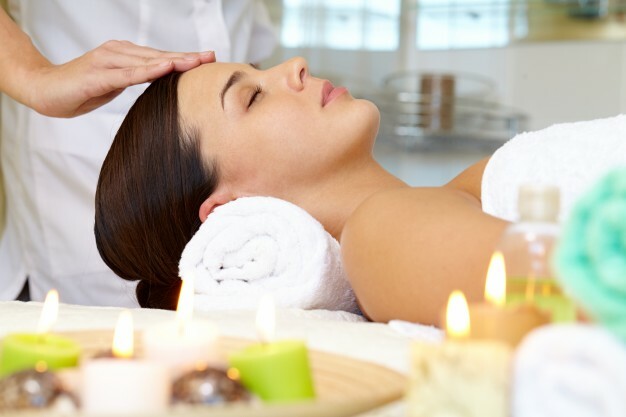 Reiki treatment is very effective in restoring balance and harmony in our lives. You’ve been suffering in some way and you’ve tried numerous avenues to help resolve your issue. It seems that nothing has worked and you’re at your wits end. A friend has suggested trying Reiki but you feel dubious. Having tried everything else though you are at the point where you are willing to try anything! This is when you finally open up to receiving. Reiki offers you something that you have never experienced before. You receive a healing and for the first time in a long time you feel relaxed, at peace and hopeful that you suffering is finally coming to an end. Because Reiki benefits EVERYTHING! Whether you are studying for exams, trying to conceive, changing career, looking for direction in life, looking for love or thinking of ending a relationship, Reiki offers something to help everyone. Reiki won’t magically fix your problems (although spontaneous healing has been known to take place) but it will help you flow through challenges, resolve issues and remove blocks with ease and joy. If you would like to experience a healing for yourself, I have created these powerful Angelic Healing Meditations so you can get unstuck, release the blocks holding you back and experience the breakthrough you deserve.